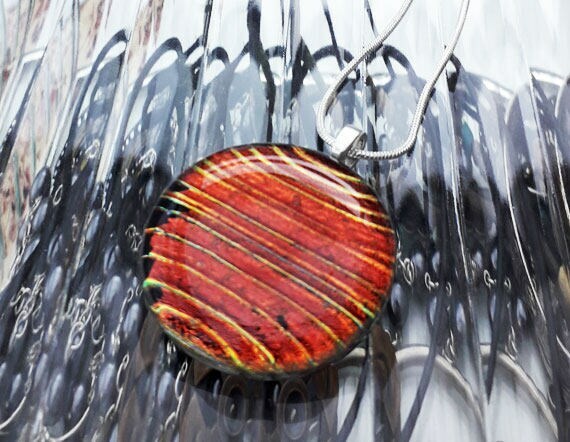 Red dichroic pendant, made from red/gold fused glass with red/gold stripe pattern. 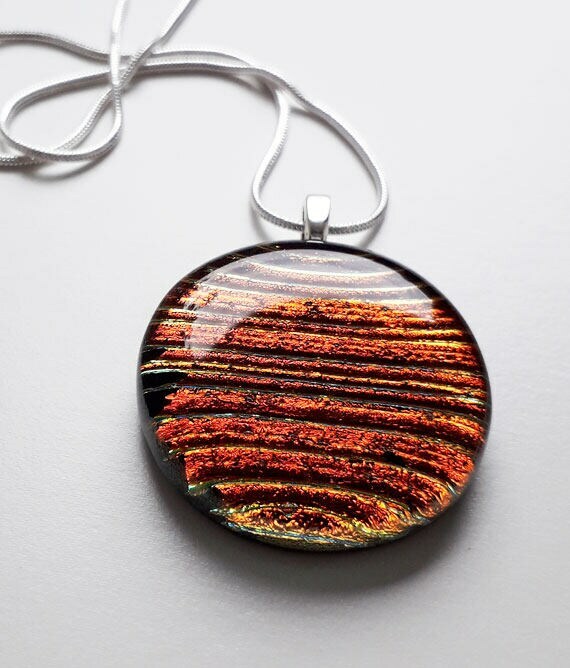 This is a nice, brightly-coloured pendant, made from stripey dichroic glass in a mix of red, orange and gold on a black background. 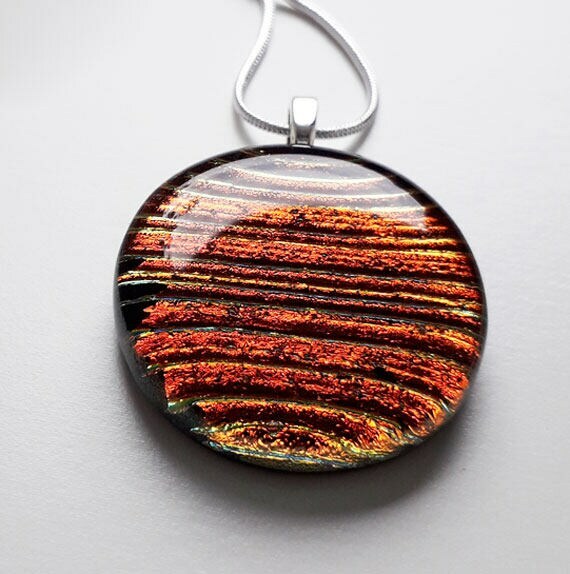 It's a medium sort of size - roughly circular and 29mm across. It's glitzy enough for party wear, but not too much for daytime wear as well. 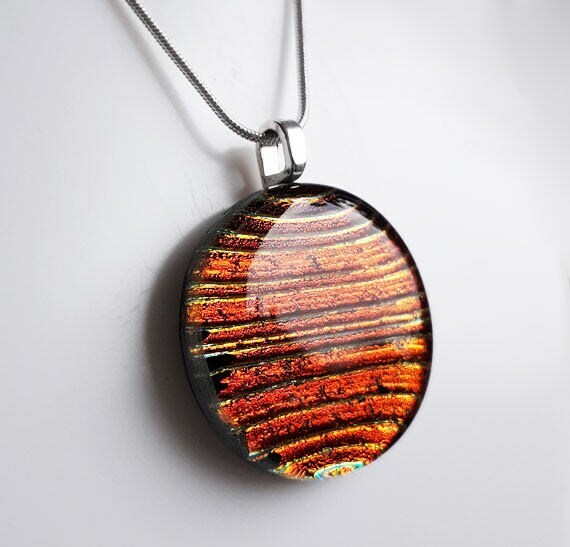 It hangs from a silver heart bail on an 18 inch silver chain.